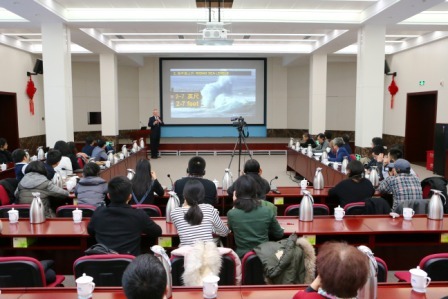 The 27th session of the Academic Salon on Climate Action and Green Growth Outlook was held at DRC on Dec. 8. Gao Shiji, director-general of the Research Institute of Resources and Environment Policies Department, hosted the event. Dr. Andrew Steele, Chairman and CEO of the World Resources Institute, delivered a keynote speech. About 50 scholars attended the event.